In this section you can learn about the history of banks in the United States, how the Federal Reserve operates, the important figures of the Federal Reserve Act and American banking in the past, and also the basic concepts of the banking industry. Be sure to check out the activities, games, and coloring sheets when you are done! 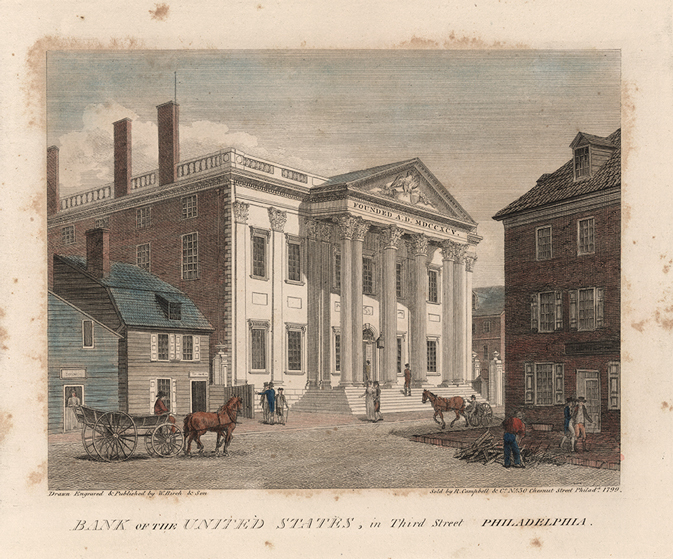 The First Bank of the United States, located on South Third Street in Philadelphia, Pennsylvania, built from 1795 to 1797 (image courtesy of the Rare Book and Special Collections Division, Library of Congress).